In a bowl, mix the salmon with mayo, lemon juice, paprika, and salt and pepper to taste. Fill each arepa with about 1 tablespoon of the preparation. Garnish with the cilantro. Serve and enjoy! Add a few slices of avocado for added flavor. Just a few days ago, I visited a renowned Latin restaurant that offers traditional Hispanic dishes with a modern flare. 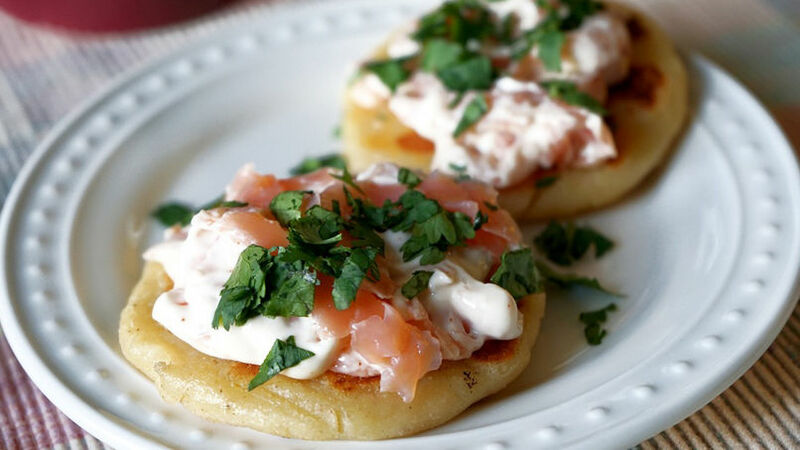 One of the dishes I ordered included delicious salmon arepas. These arepas were similar to the ones prepared in Venezuela, so I decided to make my own version with Colombian arepas.